Slightly larger case for the Philips HeartStart OnSite AED with extra compartments for spare electrodes and battery. Other Notes: This premium case has storage space for spare electrode pads and a battery. It protects your investment. 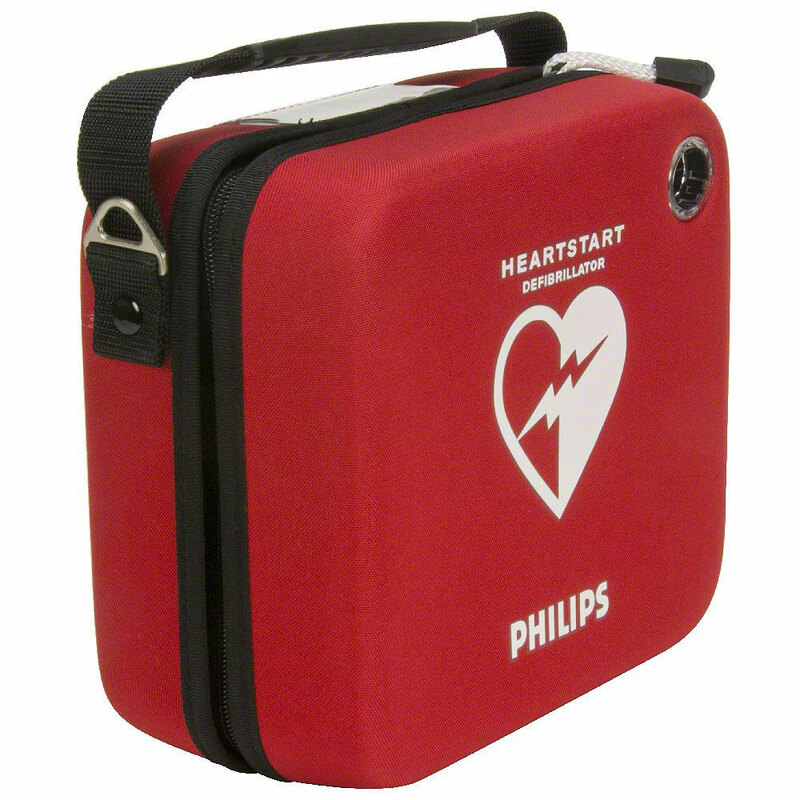 This standard-sized semi-rigid case for the Philips HeartStart AED is slightly larger than the slim case that usually ships with the device. This case is large enough to hold the Philips OnSite AED, an extra electrode pad cartridge, and a spare battery. The case has built in cavities to hold these extra items securely in place. Paramedic scissors are included. Outside dimensions: 9" x 8" x 4¾".